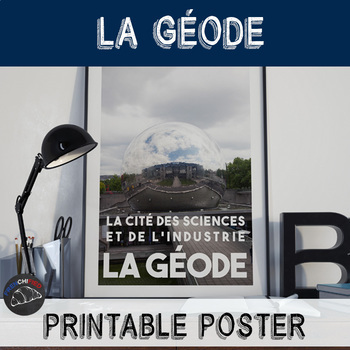 This set of jpg files includes a 20X30 and a 16X20 version of a poster about the Géode at the Cité des Sciences. You can print the 20X30 full size, or make a 4X6 or 8X12 version. The 16X20 can be printed full size or as an 8X10 or 4X5. You can get one of the smaller sets printed for $5-10 at Sam's Club or Costco. Larger versions will of course cost more, but a 20X30 can be printed for under $10.